It's here. Yes, it's shopping season and there is to way to avoid it. 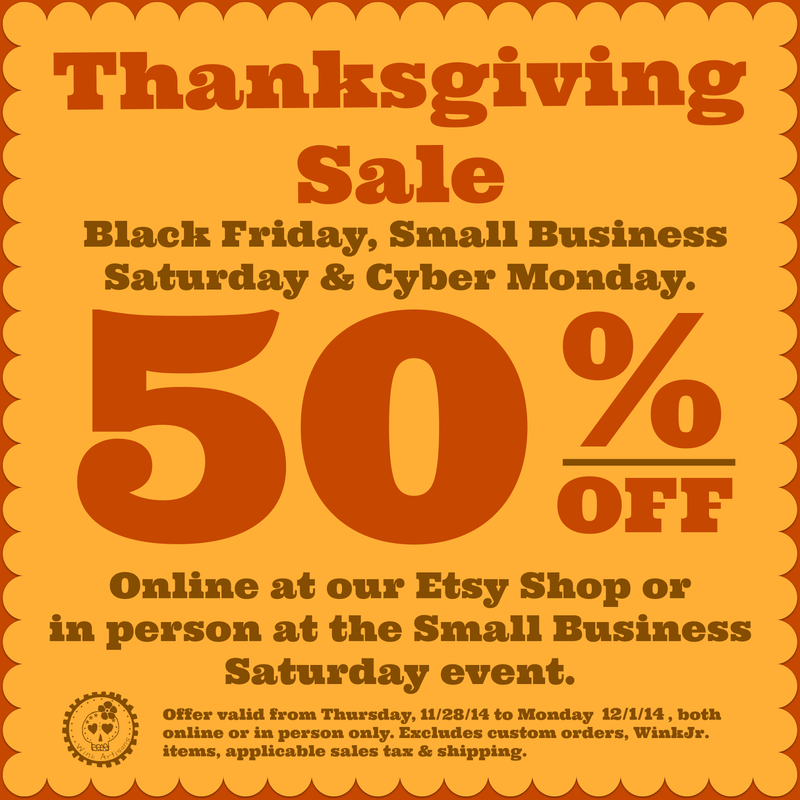 So Wink is offering 50% off your entire purchase this Thanksgiving weekend. Go ahead, give or get some Wink! Online, items will be already marked down on our Etsy Shop at the strike of midnight on Friday, November 28th. Make sure to visit the shop and mark your favorite items! 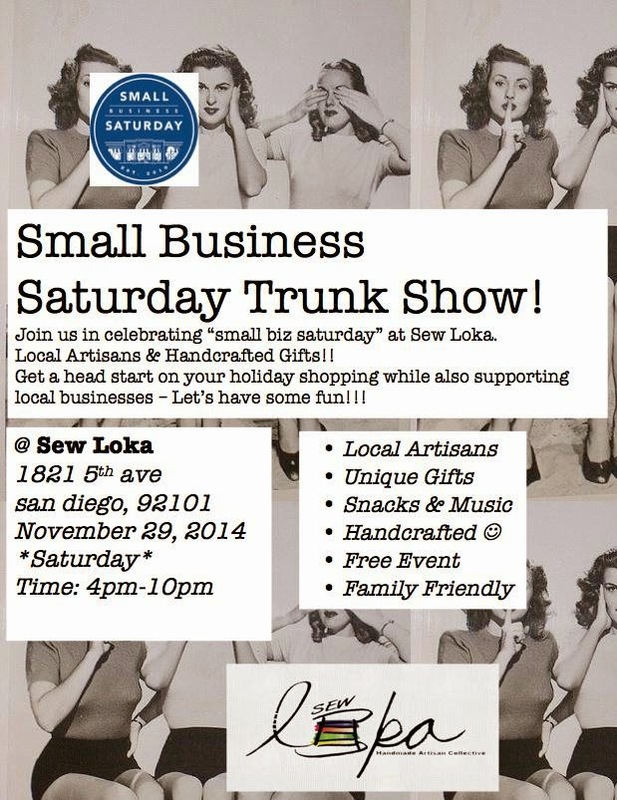 In person, you can find us at the Small Business Saturday Trunk Show at Sew Loka Handmade Artisan Collective in Banker's Hill. Keep us on your handmade/local shopping list. See you there! Offer valid from November 28th - December 1st, 2014 both online and in person. Offer excludes custom orders, WinkJr. items, applicable sales tax & shipping.